November 17th in Theme Lists, WordPress Themes by Wordpress Jedi . November 5th in WordPress Themes by Wordpress Jedi . Every business needs to have an online presence these days. That applies to driving and traffic schools. 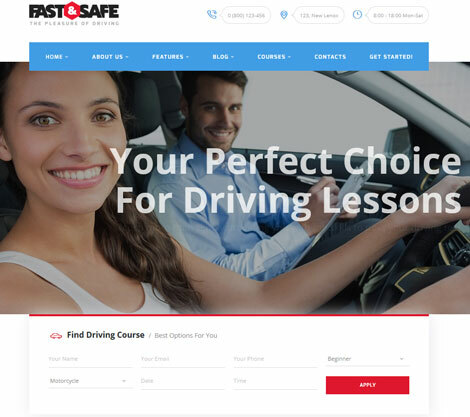 Fast & Safe is one of many paid themes you can rely on to give your website a professional makeover. Built with HTML5 and CSS3, Fast & Safe is fully responsive and lets you create and manage courses online.